This entry was posted in Love, Random Thoughts, Relationships and tagged Creative Writing, Distance, Love, Missing, Poems, Poetry. Bookmark the permalink. I am still amazed at how your timing is always so perfect. This is beautiful beyond words. I’m struggling to accept that graciously. What a amazing road to travel and rest upon along the way. This is so good, you captured such a lot of wonder and journeys and safety in this. Great poem, my friend. Thank you. It’s funny you use the safety. I almost included it in the last few lines. Nice catch. I got the inspiration to do a similar post just yesterday, sitting on an airplane. There must be something in the karmic universe. This is such a nice sentiment Mr. Not. I will read it many times and try to live by it. Although discouraging those we’ve yet to meet is not always a good thing. I am unbelievably happy that someone I’d not met, got past my fence recently. Sometimes those fences need to be low enough that a determined person can jump over them. 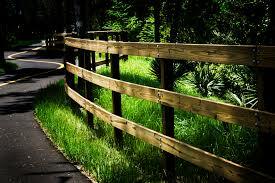 I was just going to say that sometimes fences are markings that we see as we fly above. This was beautiful. It didn’t feel like rambling like a mad mind but rather rambling like a road as you travelled. A nice ride in a convertible through forest and maybe even a meadow. That’s what I was hoping for. 🙂 Yes!!!! Thanks Jayne.